As I mentioned in my last post, I've played a few games from TellTale. Some didn't interest me at all, some could hold my interest for a while. Only "The Walking Dead" kept me hooked from beginning to end and had me eagerly waiting continuation. I mentioned this preference to some other fans of the "Walking Dead" games, and one of them recommended TellTale's newer title, "The Wolf Among Us". I beat episode one in a single sitting, and I have to say, I was not disappointed. 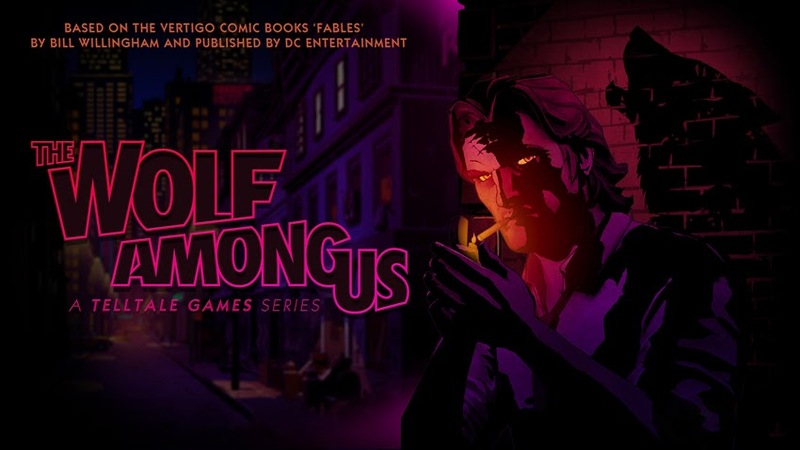 In fact, "The Wolf Among Us" might even be better than "The Walking Dead". From a storytelling standpoint, it is a bit harder to relate to the characters. Pretty much the entire cast (everyone that you interact with at least) is directly pulled from another story. Even one fable, that I could have sworn was written specifically for this game (or the source comic), turns out to be a french fairytale published in 1695. Identifying with a normal person stuck in a survival situation is certainly easier than identifying with a non-human entity who's existed for hundreds of years. Still, the creators did successfully humanize and modernize the characters. Players of "The Walking Dead" will probably remember a few moments that were unexpectedly cruel, were you witness a characters fate and can simply dwell in the dejection while saying to yourself, "I can't believe that just happened". Similarly, I can think of a few times in this episode that gave me the same feeling. The fact that a video game that emotionally shock you in such a way is actually very impressive. I highly recommend everyone buy this game. Even after hearing good reviews and positive endorsement via word of mouth, it turned out to be better than I expected. I'm looking forward to the rest of the season, and have already preordered. I have never read the "The Walking Dead" comics. I watched the first season of the show, but the last episode or two lost me and I had no desire to watch further. I played season one of TellTale's "Sam and Max" series, and part of "Strong Bad's Cool Game for Attractive People". I played a little of "Back to the Future" with my niece but did not pick it up for myself. I bring this up to establish that I was neither a fanboy of "The Walking Dead" or TellTale Games before I played the first season of the game. Therefore, I can say without any bias that the game is in fact a masterpiece. The expansion, "400 Days", is unfortunately not as enjoyable. Now, about S2E1... I played and beat it last night, and I say it's definitely a good successor to season one and probably even redeems the series a little bit after "400 Days". 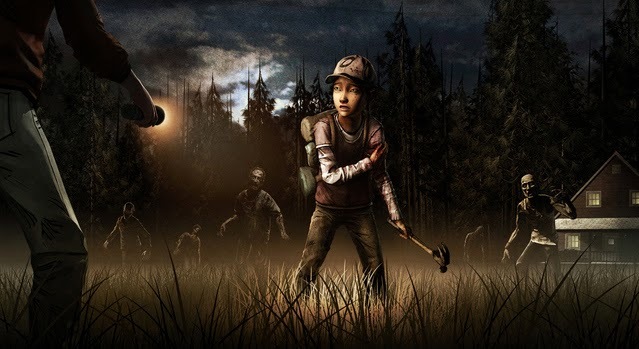 Not far into the first episode of the first season, you'd find an eight-year old girl named "Clementine". She would quickly become the character's focus. The creators did an excellent job of making you legitimately care for her, and put her well-being above everything else. You start off protecting her, but as time passes on you're motivated to instead teach her to be self-sufficient for when she'll inevitably have to depend on herself. The first season ends off with Clementine having to venture on her own, hoping to find old friends but with a lot of uncertainty. It was quite the cliff-hanger, especially considering how invested the audience was with this one character's fate. Season two has you taking control of Clementine herself. I wasn't sure what to think of this at first, playing as the character who I was previously protecting and mentoring, but it works out. With the season taking place 1.5-2 years after the first, you see that Clementine has indeed changed and matured, molded by the cruel world she lives in, but also the positive influence of your season one character. It was satisfying seeing that the character has grown stronger. Only being one episode in, I'm not entirely sure that this will be as good as the first season, but so far I have high hopes and don't regret investing in the entire season from the start.